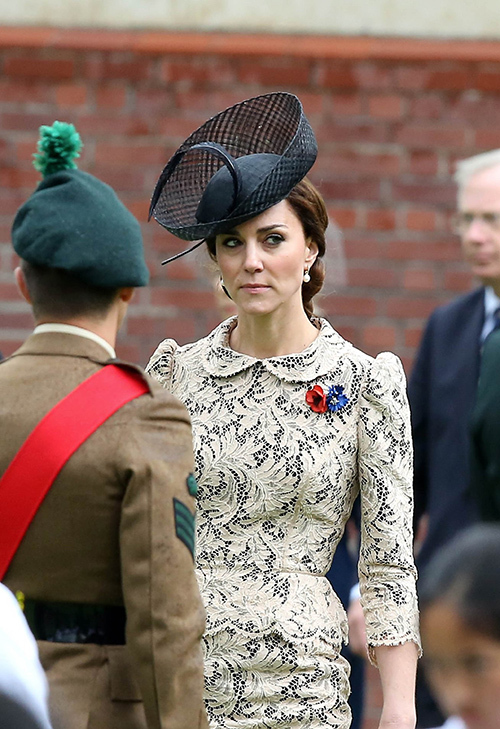 Prince William and Kate Middleton’s PR tactics have been in shambles to say the least. While Prince Harry has managed to win the public’s heart with his charming public persona and charismatic demeanor, the Cambridges have struggled to win any good press with their stiff, outwardly appearances and failure to win any public praise for their efforts, despite their handlers trying to make them look as normal and comfortable as humanly possibly while in the public eye. Unfortunately for the Duke and Duchess, things have just gotten worse for them, as the dark cloud that’s circulating over their PR team just won’t go away. There’s a new scathing report that says Prince William and Kate Middleton have lost yet another trusted staffer on their team due to an embarrassing, “torrid love triangle” that even has Queen Elizabeth holding her head down in shame. Reports indicate that Nick Loughran – who has worked for the Duke and Duchess along with Prince Harry in the past – found himself in a love triangle with Kate Middleton’s personal assistant, Rebecca Deacon. Yet, he unprofessionally started a relationship with Prince Harry’s personal assistant Clara Madden at the same time, causing absolute havoc among royal staffers. Even with Loughran’s exit, this will still leave a huge dent behind for the Cambridges. No one in Kensington Palace – or even London for that matter – will take the royal’s PR office seriously, given how they’ve mismanaged many of the royal’s bad PR so far, especially with Prince William and Kate Middleton and their lackluster schedule of public appearances, events, and charity work (which is also one of the reasons why they are called the laziest royal couple in the British monarchy’s history). So far, Prince William, Kate Middleton and Prince Harry have not made any comments about the embarrassing love triangle among their staffers, nor do they plan to do so. But, this can mean one of two things: hopefully a new hire will shake things up in their offices for the better or the Cambridges will continue to see a downward spiral in the way their public matters are handled, putting Queen Elizabeth in real crisis mode. Kate Middleton Voicemail Hacking Scandal: Duchess Terrified Her and Prince William’s Secrets Will Be Exposed! Kate Middleton Refuses Spanish King Felipe, Queen Letizia State Dinner – Won’t Cancel Vacation, Queen Elizabeth Furious? Kate Middleton Exhausted: Begs Prince William To Abandon Royal Life and Return To Anglesey Home In Wales?